Potholes: These happen when the road surface deteriorates. They are a danger to motorcyclists and other vehicles as well. When motorists drive over potholes, it can cause fragments to be thrown out, further endangering a motorcycle rider. In bad weather the pothole may fill with water or snow and be harder to see. Ruts in roads: Studded tires and heavy trucks cause ruts to form in pavement. Although work crews keep busy repairing them, it can be difficult to keep up with the damage. The steering of a motorcycle makes it more dangerous for a rider than for someone in a motor vehicle. This is because hitting a road rut can make the bike suddenly turn in a different direction. Heaving: Heaving of the road surface can occur due to freezing. The uneven surface caused by heaving can cause a motorcycle rider to have an accident. Gravel patching on turns: Gravel helps correct heaving on pavement. However, when the gravel is placed on a turn in the road, this can cause a motorcycle rider to lose control of the bike. While it is a good idea for riders to slow down while nearing a gravel patch, they may be unaware of the situation until it is too late. Spilled loads: Big trucks with loads that are badly secured may lose all or part of that load. Motorcycle riders are especially vulnerable when a motorcycle strikes an obstruction. Edge breaks: These happen when paved lanes are of different heights. Riders who are on a highway can be injured when a bike goes out of control after hitting an edge break. 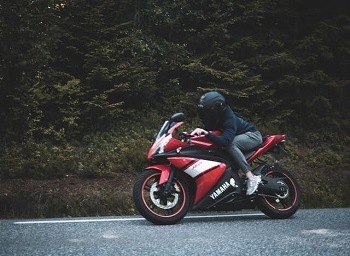 Motorcycles offer little protection to the rider, so an accident can cause injuries that are serious, causing high medical bills and lost time from work. These can include head and brain injuries, so the individual is unable to work in the future. 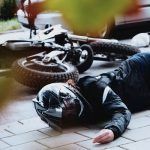 Other injuries in motorcycle accidents include broken bones, road rash, spinal cord damage or damage to internal organs such as the spleen, liver or kidneys. An experienced personal injury lawyer may help by explaining your rights and putting together a strong case for fair compensation. 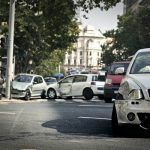 Roadway accidents caused by poor surface or maintenance conditions are the responsibility of a government entity such as a city, county, state or the federal government. In California, Caltrans takes care of over 13,000 bridges and more than 15,000 miles of highway. 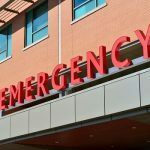 Claims against a government entity have a shorter timeline that other types of personal injuries under the California Statute of Limitations. After a claim is filed, the government entity has 45 days to send a response. If it is denied or no response is received, the individual then has two years in which to file from the date of occurrence. I’m Ed Smith, a Sacramento motorcycle accident attorney. Motorcycle accidents result in injuries and deaths. If you or your loved one was hurt due to poor road maintenance issues, call me at (916) 921-6400 for free, friendly advice. If you are calling long distance, try my toll-free number at (800) 404-5400. As a trial lawyer who belongs to Million Dollar Advocates, I join other attorneys with a record of one million dollars in verdicts or settlements for clients. 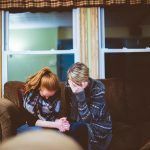 Since 1982, I have assisted my neighbors in Sacramento and surrounding Northern California with their personal injuries, including brain injuries and in cases of wrongful death.